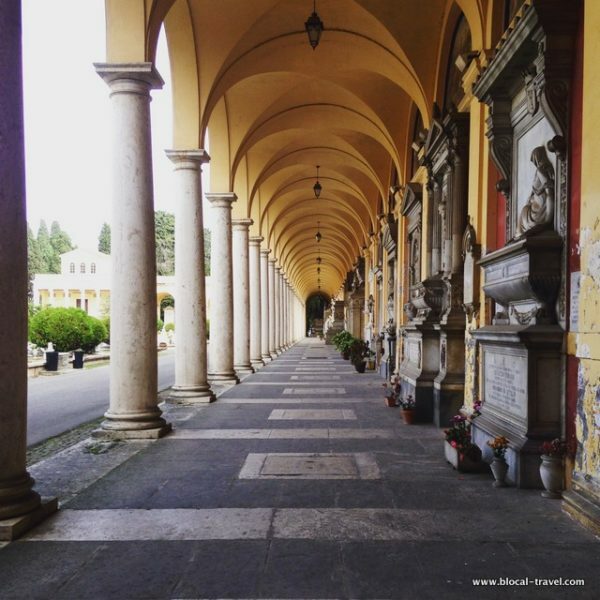 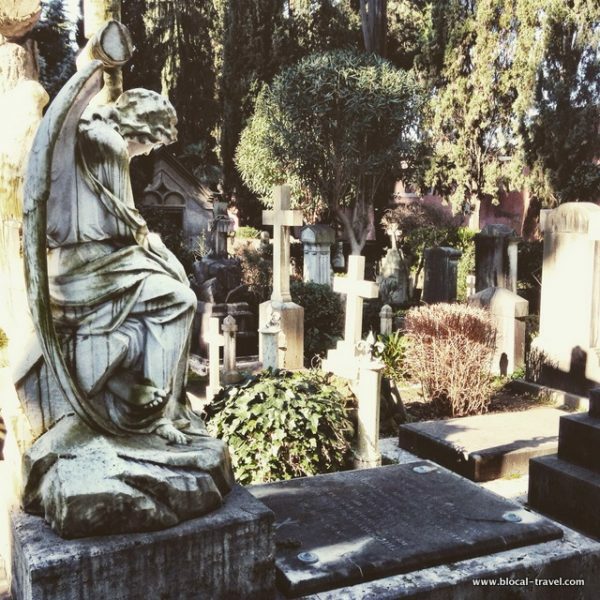 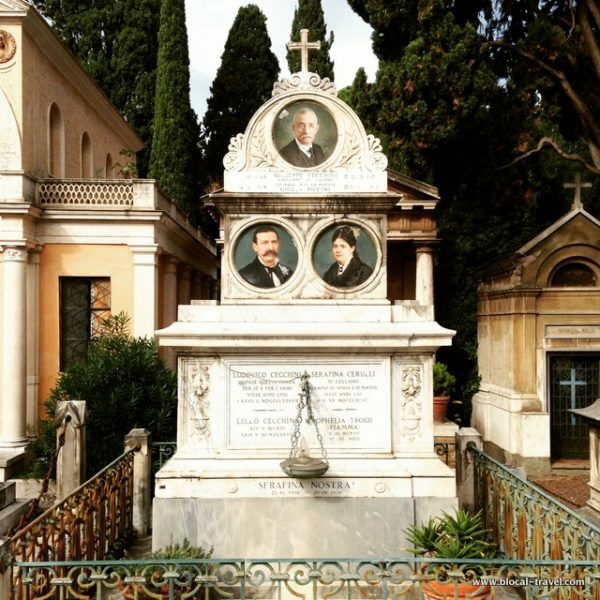 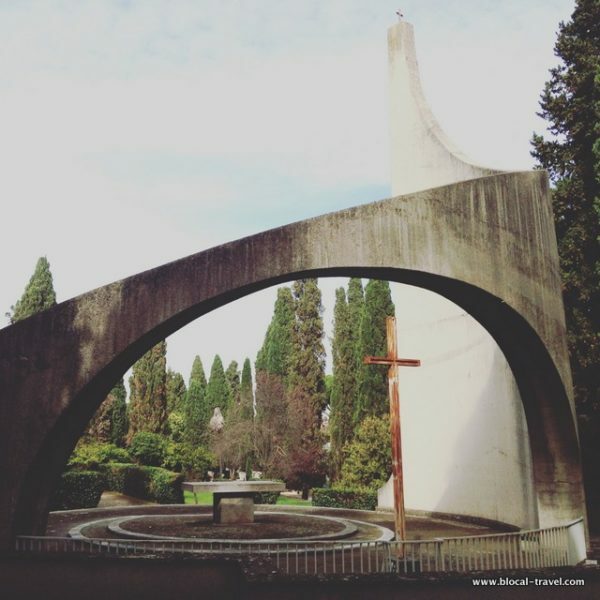 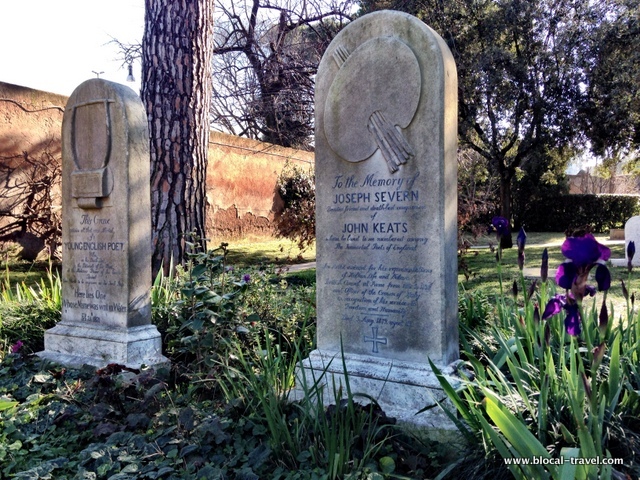 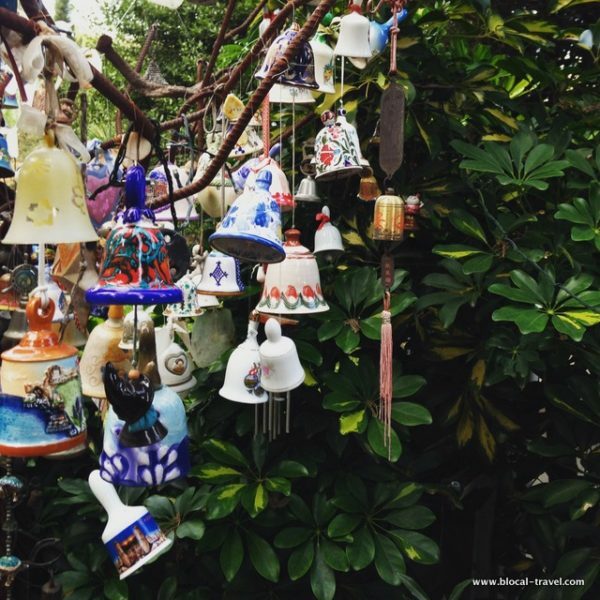 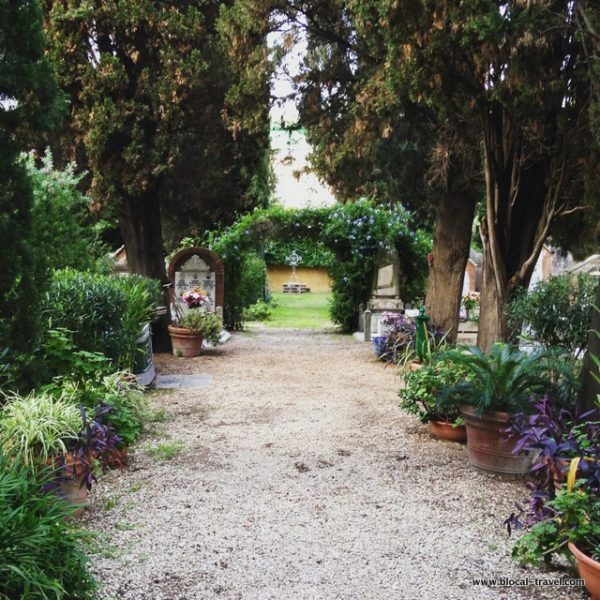 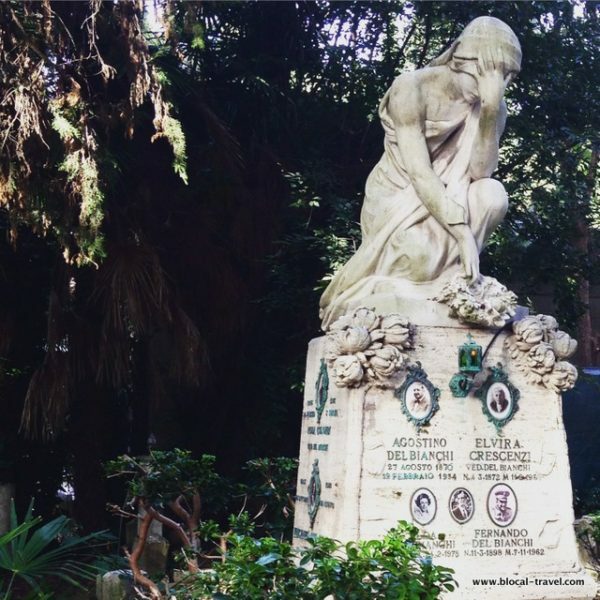 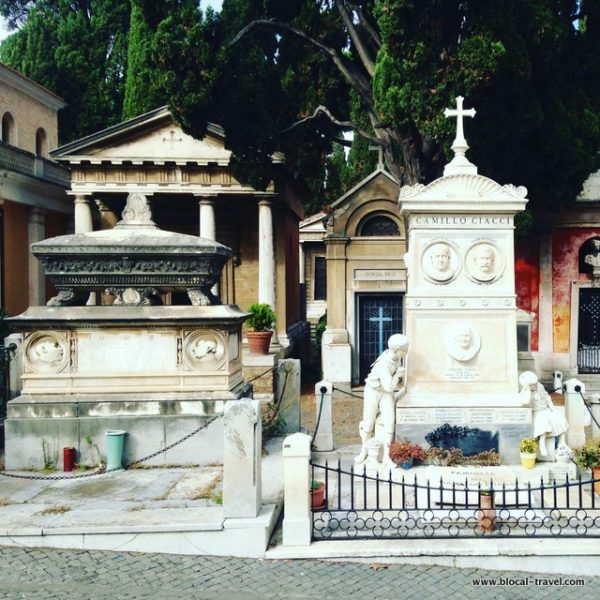 I’ve crafted a special post for this occasion, which features my favourite cemeteries in Rome: from the hidden gem under the viaduct to the lovely Protestant cemetery where Keats and Shelley are buried, without forgetting the monumental cemetery of Rome, which is an open-air museum itself. 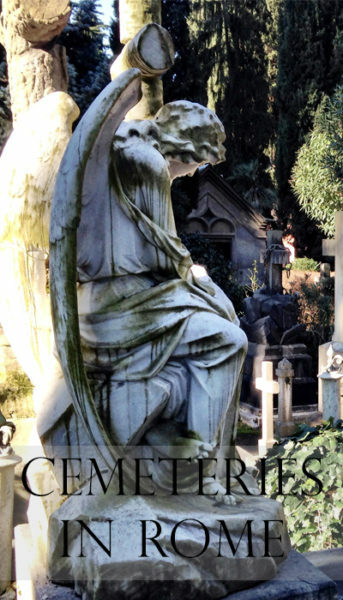 Enjoy the most eternal side of the Eternal City! 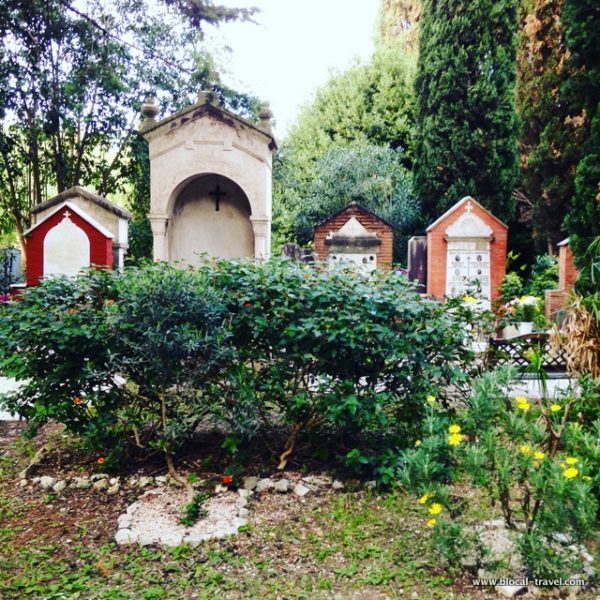 This is -without a doubt- the cutest cemetery I’ve ever visited! 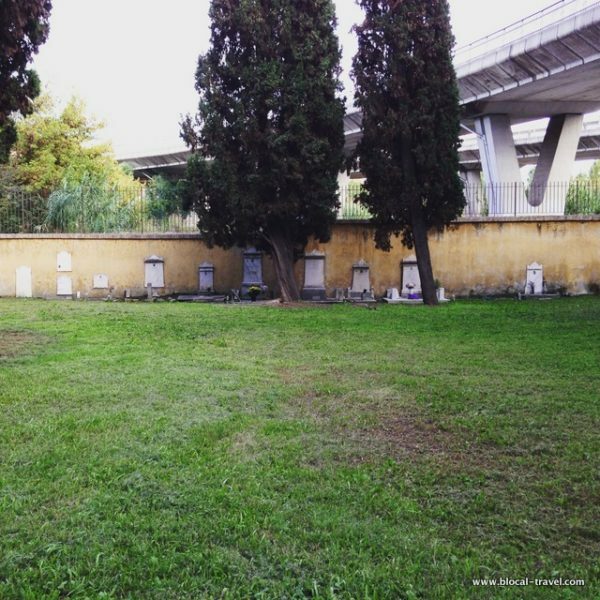 Located under Via Portuense’s huge concrete pillars by the intersection with Via Isacco Newton, this hidden, little cemetery was built in 1855 when the epidemic of cholera made it necessary to extend of the graveyard of the nearby church of Santa Maria del Carmine e San Giuseppe al Casaletto. 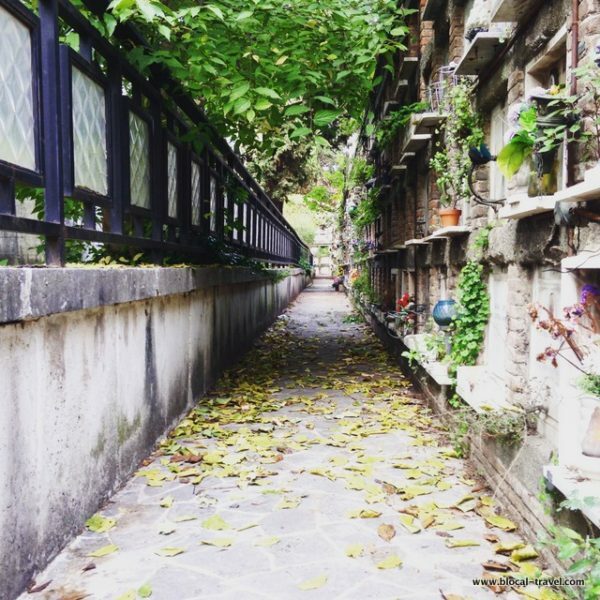 It consists of just one square of grass with a line of graveyards in the middle and more tombs aligned along the surrounding wall. 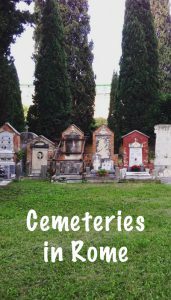 Since the beginning of the 1990s, new burials have not been allowed in the cemetery, and so it is pretty rare to find someone else wandering around it. 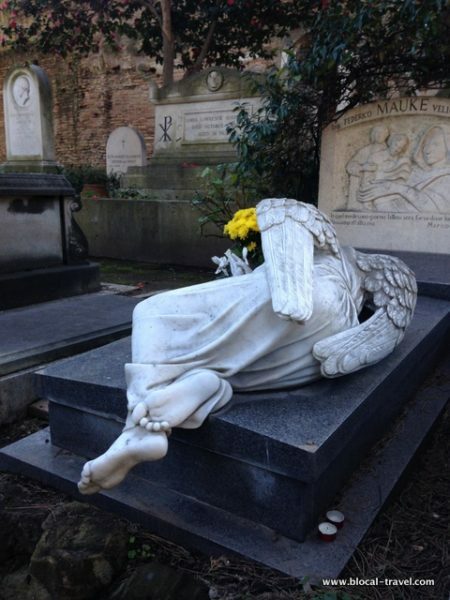 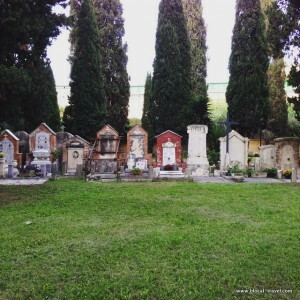 I already wrote on this blog about the Protestant Cemetery of Rome, but I want to tell you one more time how lovely this place is. 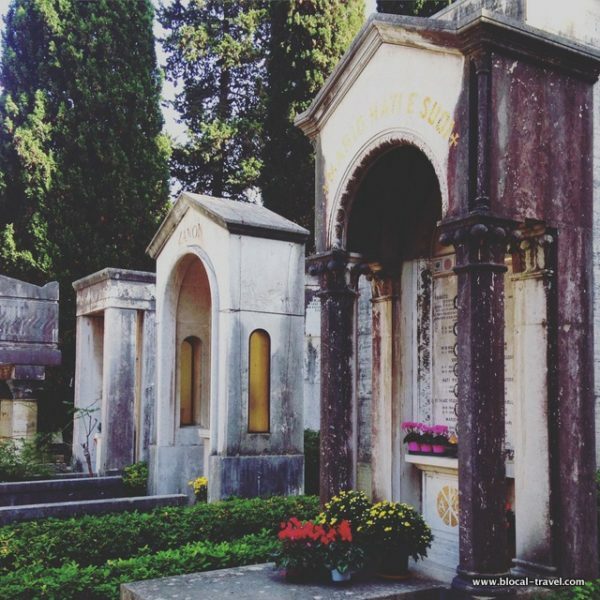 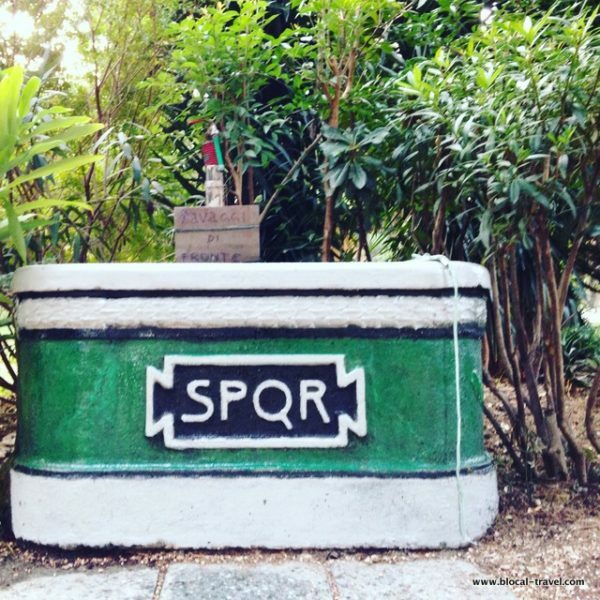 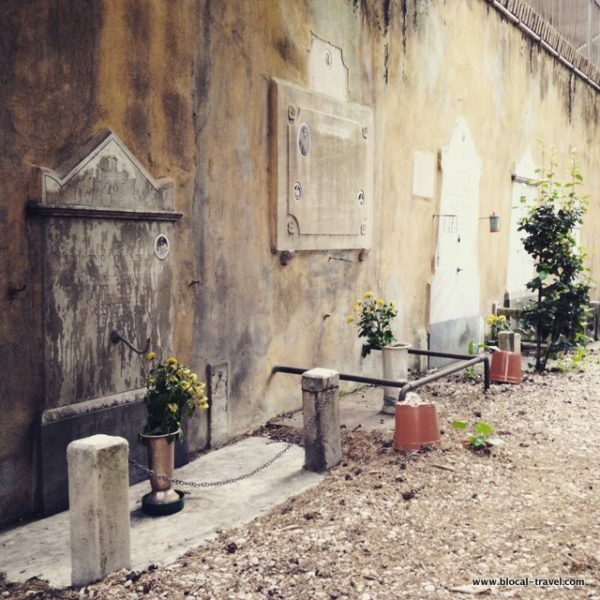 Proclaimed “the holiest place in Rome” by Oscar Wilde, this small cemetery is a relaxing corner behind the Pyramid of Cestius where Keats, Shelley, Goethe’s only son, as well as Gramsci (a founding father of Italian communism) and many other famous people rest in peace. 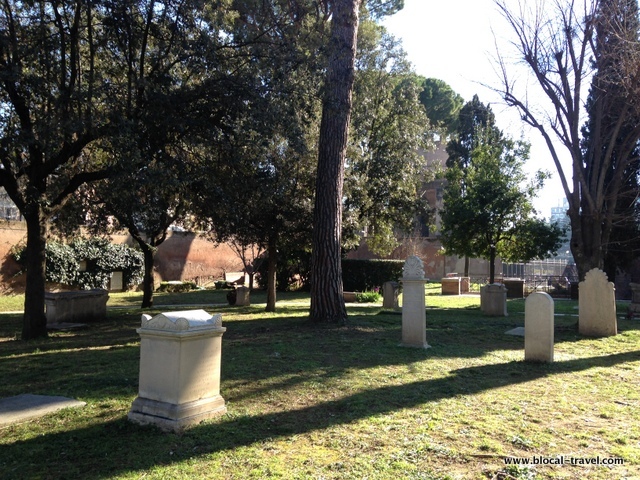 This is the cemetery where all the non-Catholics and assorted foreigners have been buried since the 18th century, many of them were diplomats, artists or young people who died on the Grand Tour; it is composed of an older part by the side of the Pyramid of Cestius (a non-catholic grave by itself) and a more modern part extending as far as via Zabaglia, which is still in use. 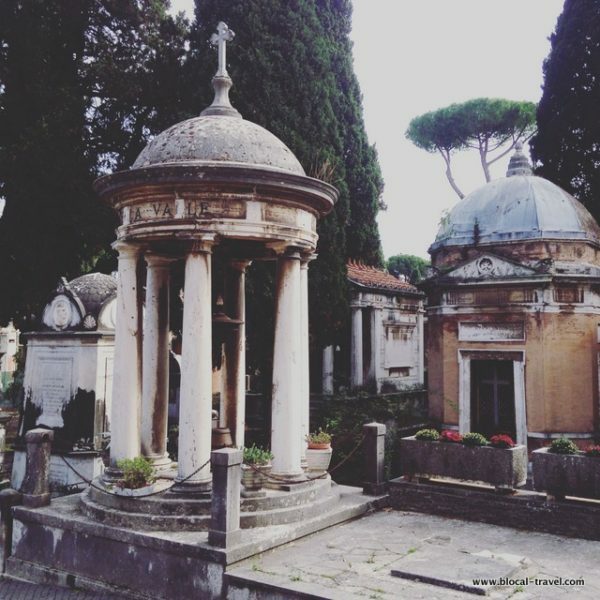 “It might make one in love with death, to think that one should be buried in so sweet a place”, wrote Shelley not long before he was buried here. 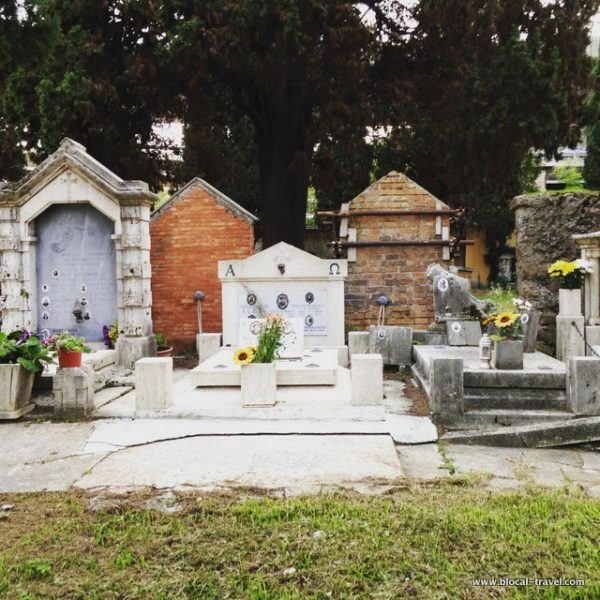 We usually refer to it simply as ‘the cemetery’, as this is the place where romans have buried their relatives and friends since the mid 1800s. 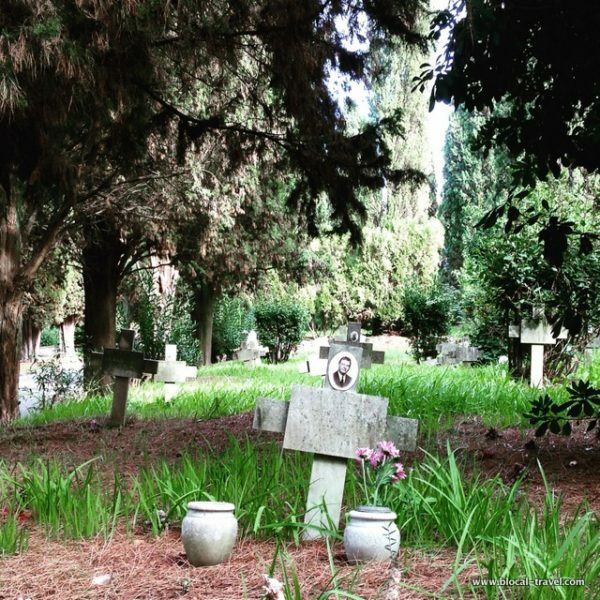 Moreover, the cemetery has history as a burial area, since it was built on the former Christian necropolis of Santa Ciriaca, which dates back to the 1st century. 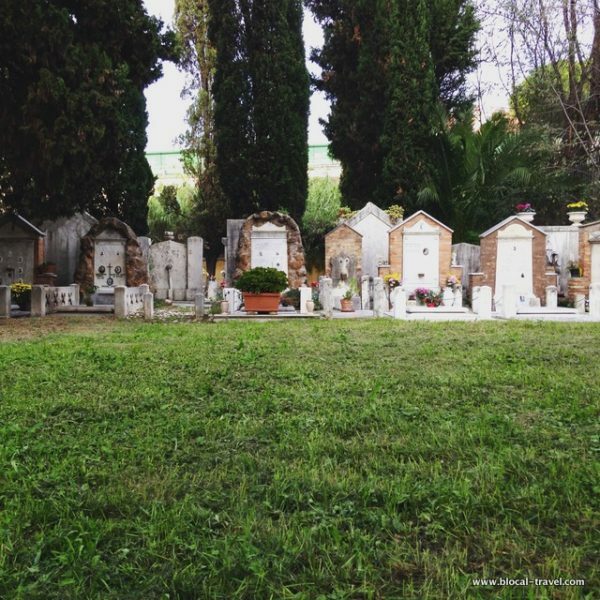 The Cemetery of Verano is a town inside the town; it is composed of several different areas, tree-lined boulevards, squares, chapels and churches, such as the ‘Basilica di San Lorenzo’, which gives its name to the surrounding neighbourhood. 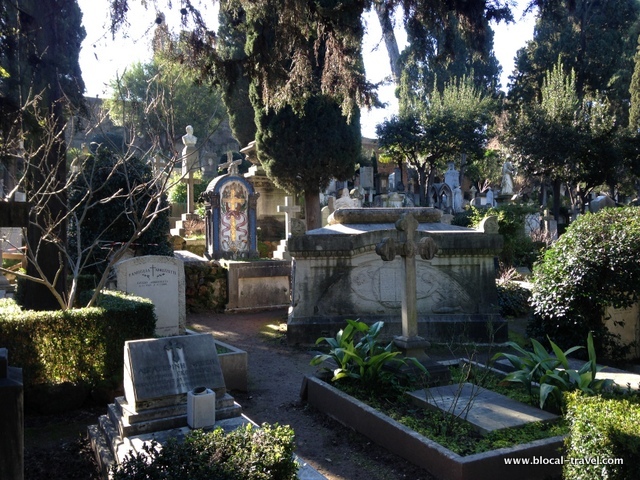 Within its long surrounding walls, the cemetery of Verano contains our history on several different layers: the history of the country, being the place where not only our founding fathers but also other notable Italians rest in peace, the history of the Arts, represented not only by musicians, writers, actors and many other artists buried there but also by the evolution of the decorative and applied arts beautifying the graves (from Filippo Severati’s secret technique of painting on pottery to stained glass, art nouveau, futurism, abstract art and much more), the history of architecture and urban planning, which mirrors Rome’s urban development as the same architects who restyled the town were also working on the Verano’s plan, and -of course- the history of each of our own families. 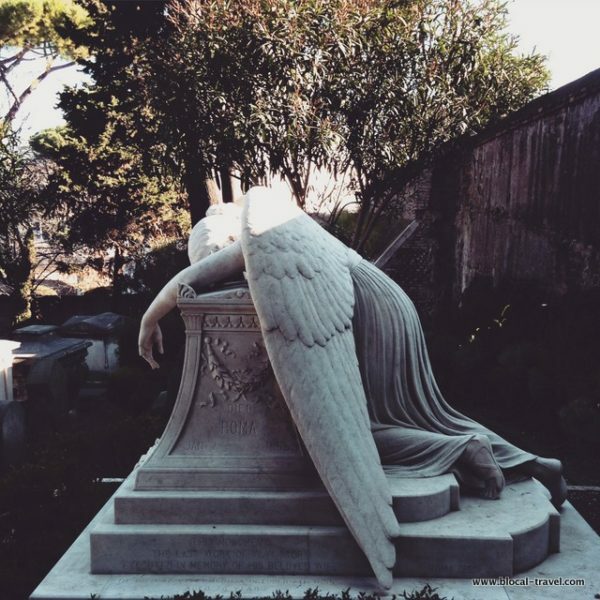 And for me, that’s the quintessence of community. 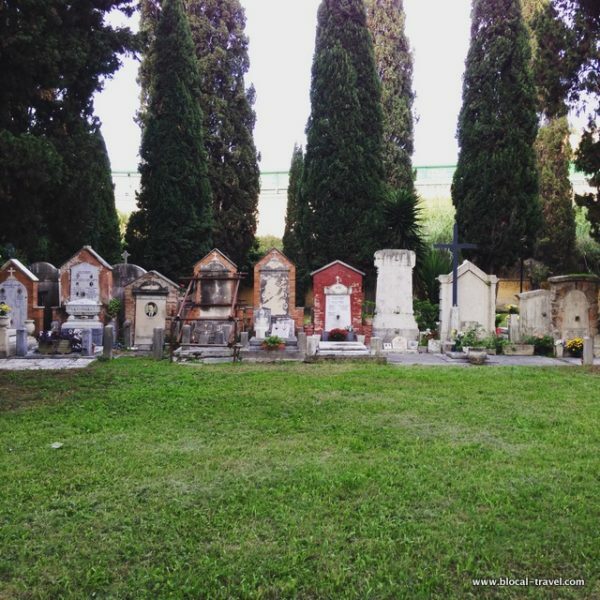 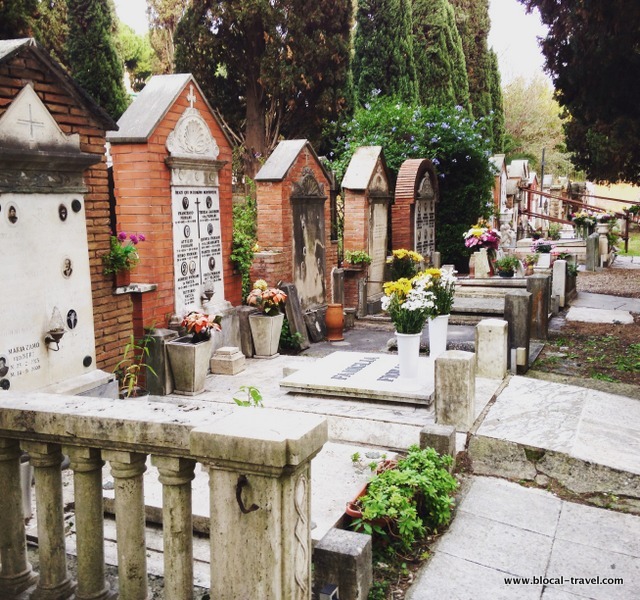 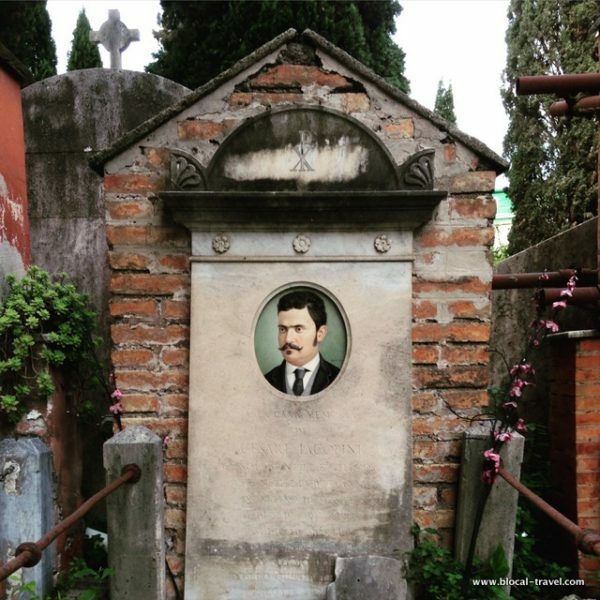 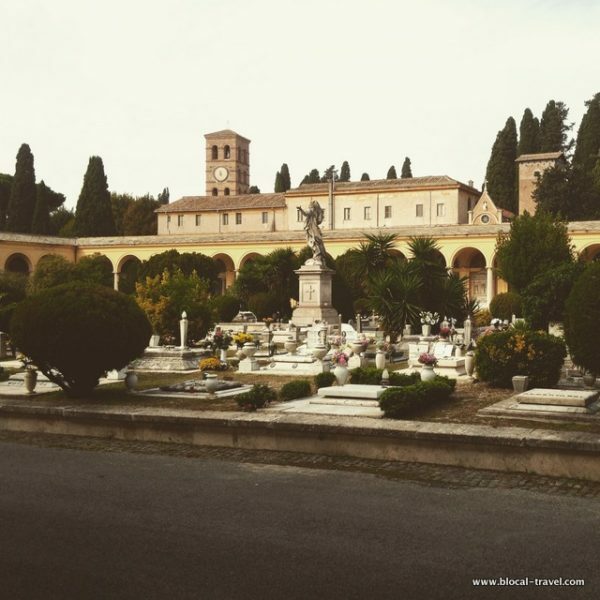 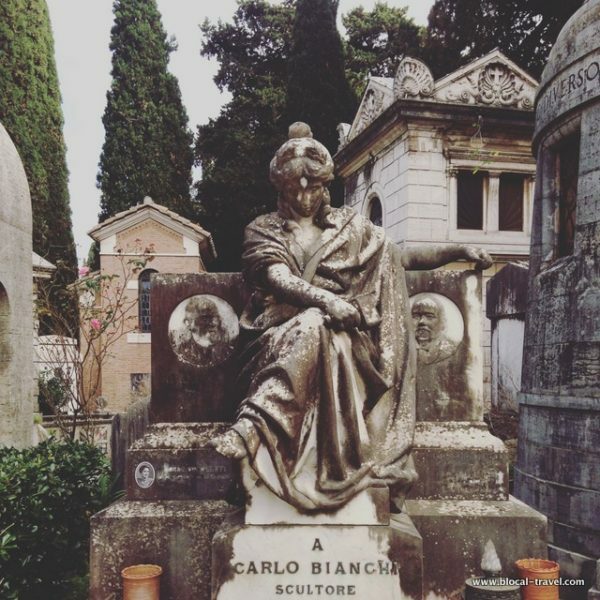 Find these cemeteries and many more cool spots in my Rome Google Map!